This image contains dark nebulae and star forming within the larger structure known as the Taurus Molecular Cloud (TMC). The TMC contains many complex organic compounds. 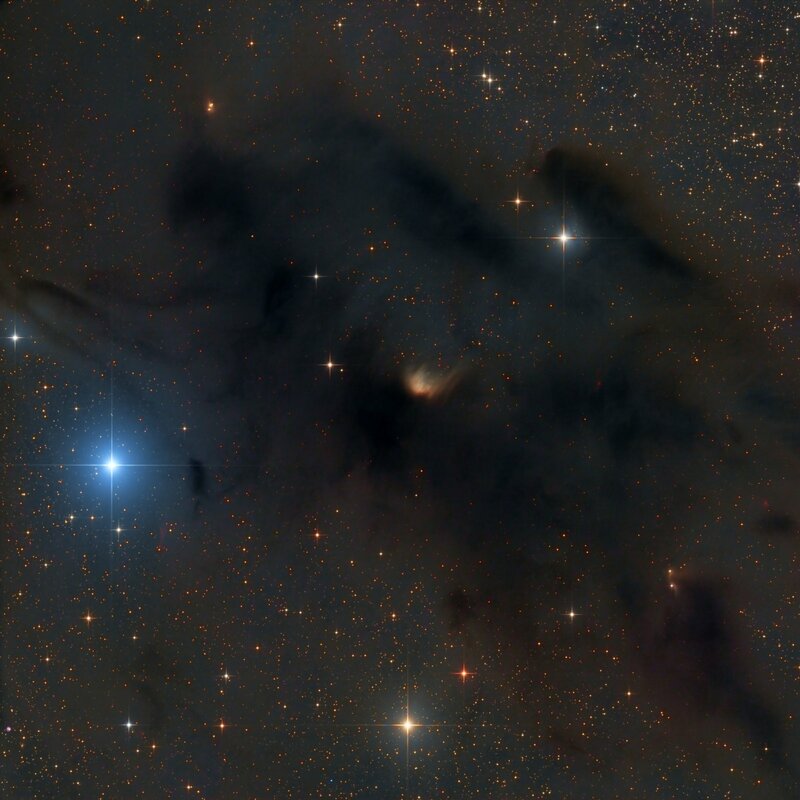 The central reflection nebula is IC 2087 – it is surrounded by multiple dark nebulae that are well represented in the Dobashi Dark Cloud Catalog. The dark molecular cloud in this FOV is Barnard 22 and the area hasn’t been imaged that often. IC 2087 is rather exceptional. Most reflection nebula have a blue color while IC 2087 has a more orange hue. I still need to do some research to find out why this is.